"Once there was a peaceful world living in endless daylight. But one day the sky became darker and eventually it was night – for the first time in history. Dangerous creatures, only yet known from dark caves, appeared literally everywhere and went against the peaceful people of Endyr. Not knowing how to fight or defense themselves, most of them were slaughtered without mercy. Only when the last group was awaiting their fate, the darkness slowly disappeared and all the monsters were burned away by the bright sunlight. The survivors celebrated the new day. This is the story of those who were lucky this time. But when will the night return? Will people be prepared and survive one more time? 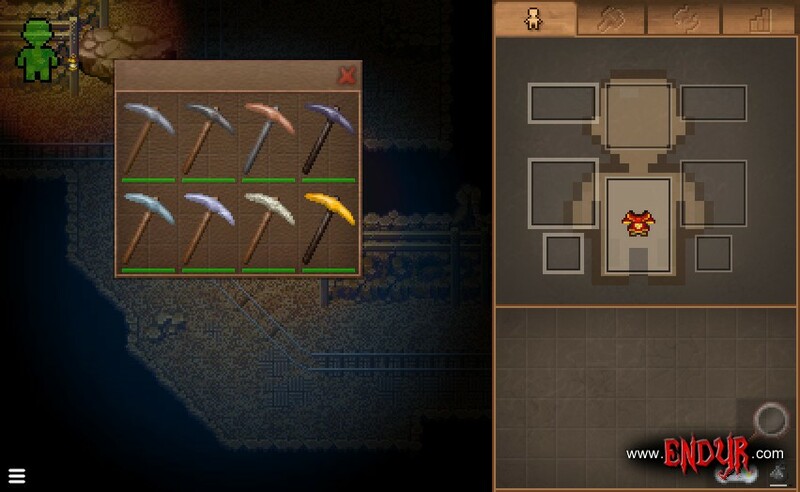 Will they step into the caves in order to gather resources for forging weapons and armor? Will they fight the darkness? It's all in your hand." 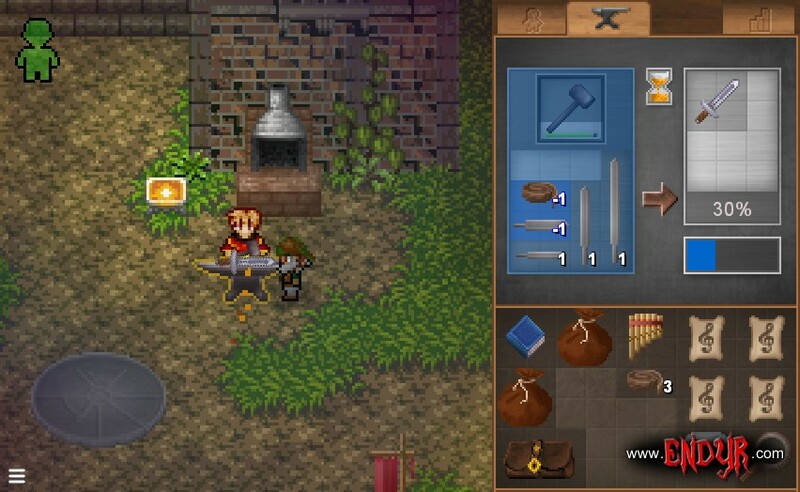 Endyr is a realtime action-RPG focused on survival, crafting and multiplayer co-operation. 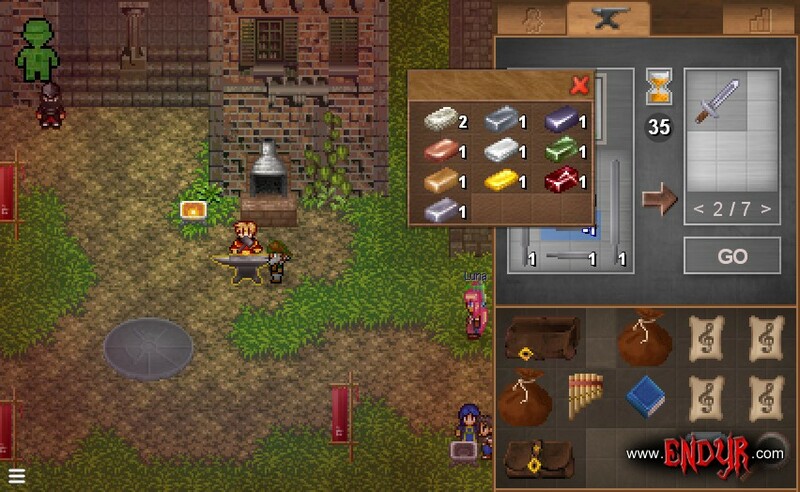 The whole game is presented in beautiful oldschool pixel art. Please "like" the videos and subscribe to the channel to keep updated. This special offer is only valid until release date. Yes! Please watch Endyr on this platform, visit Endyr.com and help spreading the word! You may also signup for the next beta test and the release-newsletter if you like. No. Dead means dead, so you need to create a new character. However, fallen characters may be carried to the graveyard by other players. Their gravestone will display the character's records such as stats and total lifetime, it's kind of a trophy. By opening the dead character's grave the player can get his old items and equipment back - but this destroys the gravestone and thus purges his records. Your decision. Please note that some enemies will transform characters into ghosts, zombies or mindless creatures rather than killing them. In this case you (or your allies) will have to defeat the lost character in order to get your stuff back. 1) Endyr takes 8 different kinds of damage into account. For weapons it's slash/pierce/bludgeon and for other damage sources fire/ice/acid/radiation/electricity. For example, a plate armor protects you from piercing damage but helps nothing against bludgeoning or electricity. 2) Character models are split up into 5 parts: head, body, left arm, right arm and legs. Damage to these parts hurts your health as well as affects your stats. For example leg damage makes you slower while arm damage lowers your strength. If one part is completely broken/gone, further damage to this part nearly doesn't affect your health anymore (in fact some enemies can only harm but not kill you because of this system). Yes. Endyr allows user object placement, eg. for catapults, walls or even houses. Indoor levels are instanced "empty" so you can place your own furniture. It's up to you. Prefer a peaceful life? 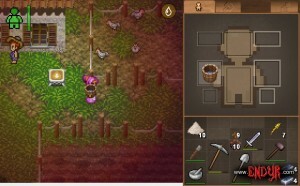 Just keep on crafting stuff, hunting animals, growing plants for food or harvesting wood in the nearby forest. For the more adventureous there are plenty of dangerous places where you'll find rare stuff and resources to brew special potions and craft powerful weapons and armor. 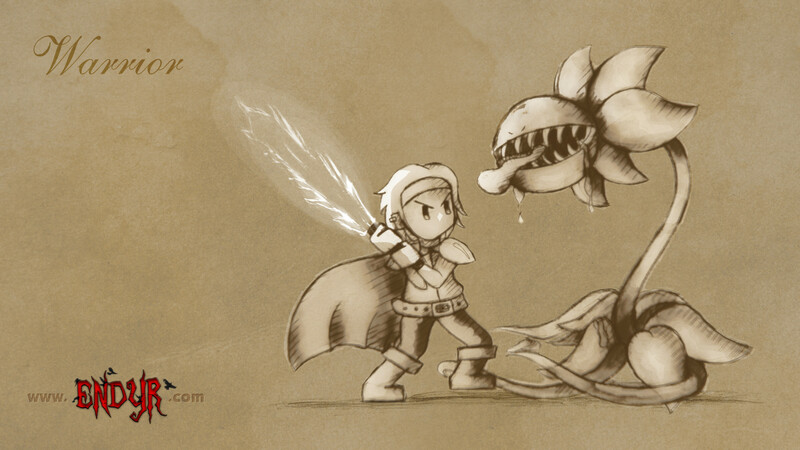 Furthermore, for the experienced and well-equipped players, there are boss-enemies to get special equipment like flaming swords. However you won't catch a fever because you walked around in light clothes in cold areas - or at least, not yet. If the players ask for more complexity I'll sure hear the call. Yes, of course. Ghosts and Goblins, too. Just open your browser and play. Endyr runs even on integrated graphics chipsets for a default game window sized of 512 x 512 pixels. In fact this is the target setup. If it runs too slow just try zooming in your browser (Ctrl + Plus sign) to reduce the resolution or just resize the window. No. Endyr runs natively in any modern browser (Chrome and Firefox are preferred). No plugins are required. Endyr follows the "pay to play" model, in other words you pay a monthly fee of EUR 5 (about US$ 7). There will be generous savings if you but 2 or more months of game time at once. Furthermore, while and only while Endyr is in development, you get the chance to pre-order a full lifetime account for only EUR 29.90 in order to support the dev. Lifetime accounts will still be available later but at a much higher price. While iron is still a great choice for weapons and tools, there's now a whole lot of new metals and alloys for you to discover. Soft metals like tin and copper are great for tools, arrowheads and tableware, while iron, bronze and steel are best used for weaponry and armor. There's even silver and gold for your jewelery (and weapons against the undead). The new metals can be forged into blades and combined with either metal, wooden or leather handles. Speaking of wood: there's now a bunch of 5 different woods for several purposes, from battle staffs (hard) to long-ranged bows (elastic). Is that a sweet melody from the forest? It probably is! 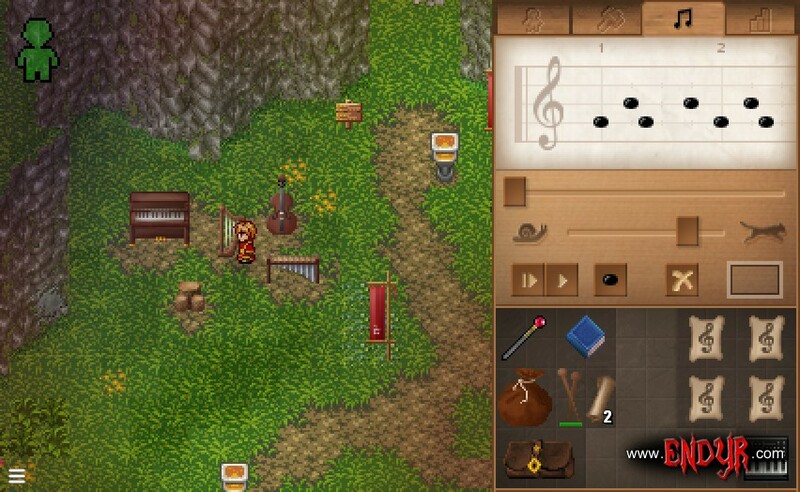 Now you can compose your music and play it on one of several instruments we included. Dance to the rhythm! Instead of preparing numerous dresses we decided to let the players create their own. Combine different shirts, trousers, shoes and accessories. Choose materials and colors to your liking. Create your very own collection of clothing! The world of Endyr is unforgiving. But luckily there's a way to secure and enlighten areas: Powering a Luminos. 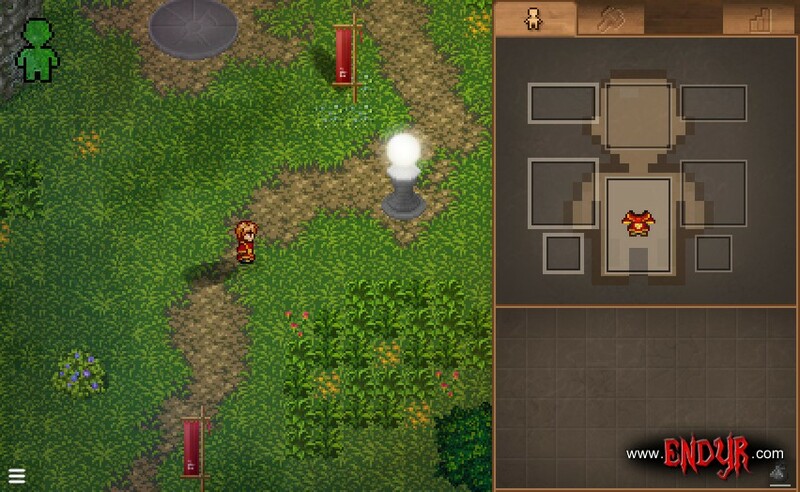 Those devices can be found at several places and only need a load of Lux in order to scare away the monsters. 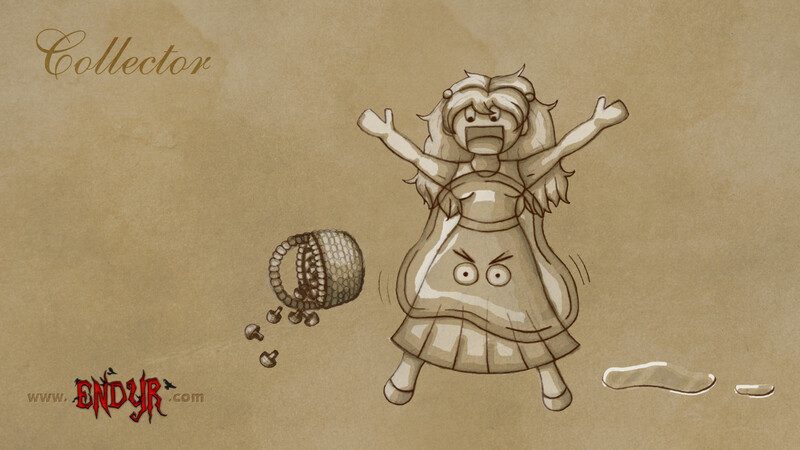 And finally here are some "daily life" artworks made by our sweet new graphics artist Sirea. These are just examples of professions (more will follow) but of course you're free to do whatever you like. 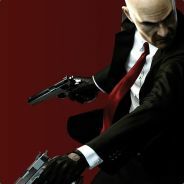 You need to face the enemy? Jump into battle? Defeat your foes? Become a warrior! You like the smell of melted iron? Love the hammering sound? The heat? 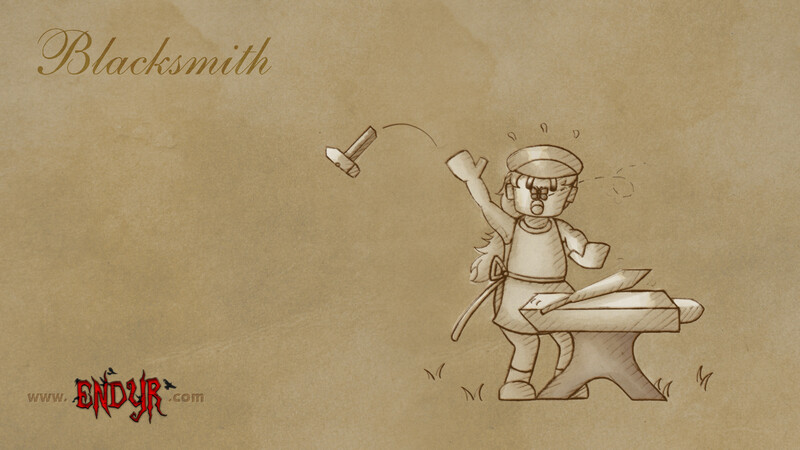 Become a blacksmith! You prefer to stay in safe areas? Harvest fruits? Gather stuff? Become a collector! Thanks for your support and please consider spreading the word! Maybe let the alpha be free, and then when it gets completely released, it goes into P2P? Thanks for your interest! The pricing was decided long ago and as stated on the website, the alpha tests are actually free. 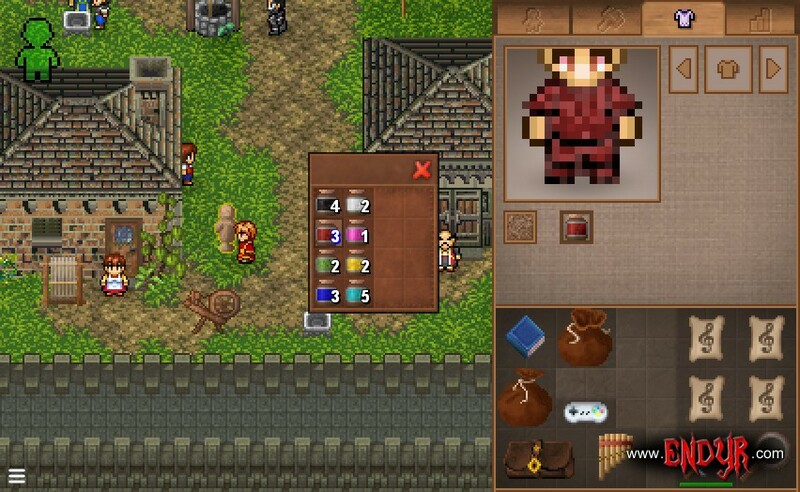 Furthermore, similar to Minecraft, the beta test will be cheaper than the final game. If you really want to play I'd recommend asking a friend or anyone who's got a PayPal account or creadit card to buy it for you. I also recommend taking the pre-ordering offer as lifetime accounts will be much more expensive later. I wish you luck and energy to keep up the great work! Thank you! Now that most of the engine is ready I spend most time doing pixel art and adjusting scripts and production chains. Love this kind of survival games, can't wait for it. Went to register and everything is in, german? Why not english ?